This recipe is delicious and your friends and family will fight you for them. Optional Modification: for less sweetness, skip the maple syrup and double the brown rice syrup. 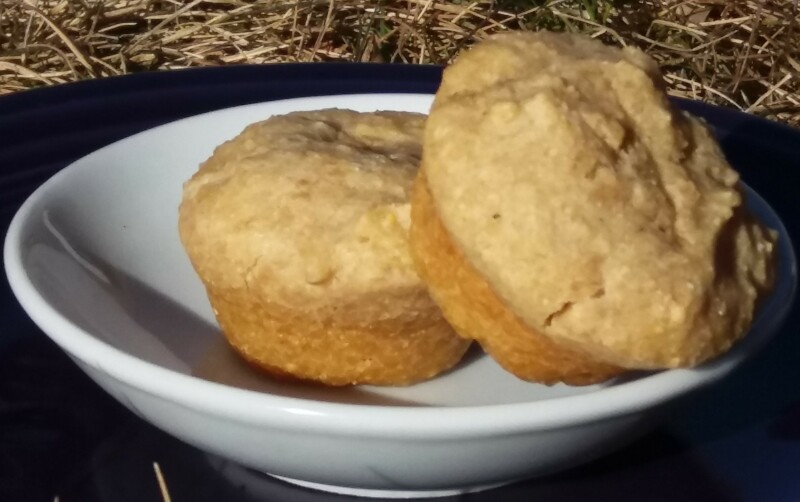 Preheat oven to 325F and grease mini muffin tray with olive, sunflower or safflower oil. Combine the cornmeal, flour and salt in a bowl. Add oil and stir to coat the grain with the oil. Stir in applesauce, soy milk and sweeteners. Pour mixture into the muffin pan. Bake for about 20 minutes. Insert a toothpick into the crown of a muffin to check if they are ready. The toothpick should come out clean. Optional Modification: add a few drops of umeboshi vinegar to the soy milk prior. This helps the interaction with the baking powder to lighten the muffin.